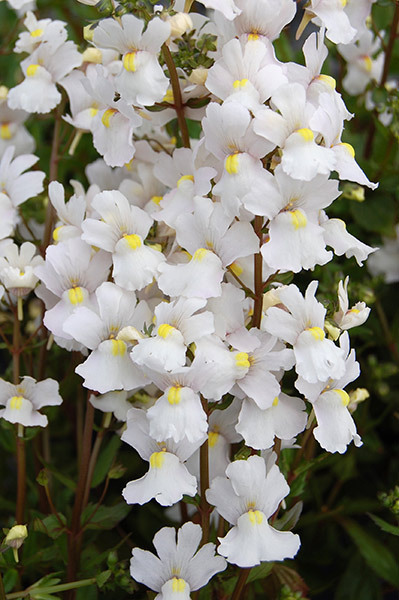 A perennial nemesias which has been bred in Australia from the soft pink flowering Nemesia 'Confetti' which came to us from the UK and which is particularly notable for its prolific flowering. N. 'Confetti White' also offers this long and profuse flowering from autumn through spring but another feature which should not be overlooked is the compact form achieved giving us low growing mounds of fresh, bright green foliage as a neat base to the floral display. Delight in its performance, lightly scented blooms, ease of growth and the speed at which it will become an established and treasured addition to your landscape. Blooming for months on end, beginning in autumn and going right through into spring and, if spent flowers are regularly trimmed off after each flush, more dainty little blooms will quickly replace them. 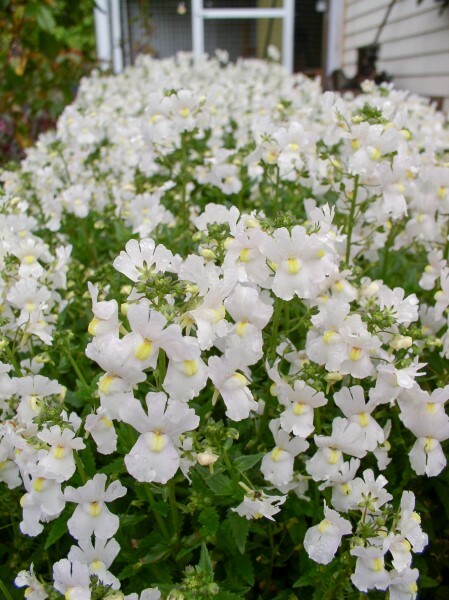 Home gardeners will find the Nemesia 'Confetti White' is simple to grow if given a sunny position in soil that drains well yet stays relatively moist with a mulch covering. Copes with frosts and dry conditions once established and needs only an application of slow-release fertiliser in late winter for optimum results. A light prune to remove spent flowers will encourage further flower production as well as help maintain a neat, compact form. 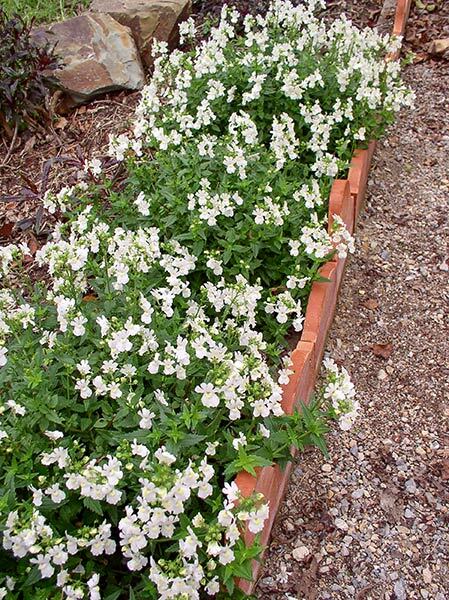 A great choice for fast results in a new garden or for filling holes in an established border. Grows very well in containers for paved areas, balconies etc. All the flowers are lightly scented and last well when picked for a posy.